TS freight is amongst the topmost international freight shipping service providers with its headquarters in China and many other countries. We have a good reputation in this logistics industry because of our highly specialized and professional services to our clients. We also offer customized solutions, streamlined and customized services, logistics solutions, ocean freight services, air freight services, warehousing and distribution services, inland trucking services, road freight shipping services, custom brokerage services and many more. It’s been 10 years when we are serving you with our valued and responsible services. 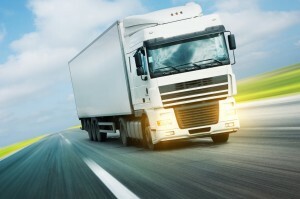 We have a widespread and highly efficient network of logistics and transport services. To provide our high quality, efficient and affordable services, we are covering the China’s major cities including Hong Kong, Qingdao, Tianjin, Ningbo, Guangzhou, and Shanghai, etc. reliable and efficient inland trucking transportation services covering all the major cities of China, so that the customers who are looking for a best, trustworthy and reliable inland trucking partner can choose us as an only solution that fulfils all their logistic needs. Our rail freight services and the road freight shipping services in China are the best choice for the clients that are looking for cost effective, flexible, and reliable way for delivery of cargo from the source to the destination in a perfect condition. Our services are basically designed for the companies that rely on the management of the supply chain. We believe to offer a 100 percent guaranteed satisfactory, convenient and reliable services so as to achieve a peak level. We not only provide you with the flexible inland trucking services, but also recommend you with several transit options that are perfectly suitable to your road freight needs of cargo shipment along with budget and time frame. In other words, you can say that the services provided to you are cost effective and least cumbersome mode of transport. We suggest and offer our clients with many benefits like cargo damage reduction, prevention from loss, etc; so that the quality of our services provided is not compromised. Also, they offer a chance to enjoy such a great reduction in transit costs. If you are looking for a perfect and premium logistics, transportation and road freight shipping service provider that is perfectly suited to fulfil the shipping requirements is the TS. So, mail us or call us to acquire our services, so as to make us your perfect logistics partner for life. Also, it has been working as a help to your business to be at a high level with our committed and dedicated services. Because of our remarkable services we are considered as China’s no.1 logistics and transportation service provider.